Kats & Kits is a long-established cat sanctuary based in the depth of the UK’s mystical Wiltshire countryside, on the edge of Salisbury Plain, near the white horses of Alton Barnes and Westbury. Run by a small dedicated team we aim to provide a home to rescued cats where re-homing is not a viable option. 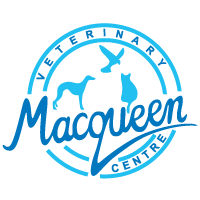 Lorraine Spencer started with Macqueen’s as a veterinary nurse in 1990. Soon all the unwanted waifs and strays that came into the practice found their way home with her. Within a few years space became short and group of friends and colleagues got together to raise funds to convert a small stable block into cat pens. Many fundraising sales, and garden parties later, this was done and Kats and Kits came into being. Devizes Kats and Kits is now in its 19th year and during that time it has rescued and re-homed more than 1300 cats and kittens. Click here for more information on Kats & Kits was started, and this blog documents the daily challenges the group has overcome since 1994 to provide care and shelter for abandoned, stray and unwanted cats. “I first met Ian and Jacky Macqueen when they looked after my cat family at Mr. Geering’s practice in Melksham some 25 years ago. So when we moved to Devizes, I was delighted that our move coincided with them purchasing the practice in New Park Street. My cats could continue to be cared for by the vets they knew and loved. 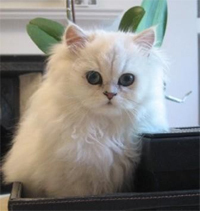 “At that time, I was breeding Persians and Birmans. Nothing was ever too much trouble including the call outs at 3am to deliver litters of kittens! My cats have always had the most wonderful care and attention and I have had so much help and support from them, particularly, at those inevitable, very sad, times that come to all pet owners. “I have seen the very hard work and and huge amount of effort that Ian and Jacky have put into developing their practice over the years, gradually expanding it and selecting, over time, just the right people to fit in and continue their policy of loving care. Jo chose Macqueen’s 25 years ago and is still with us. Jo is now the owner of Manuka, a 3 year old P.A.T. dog. 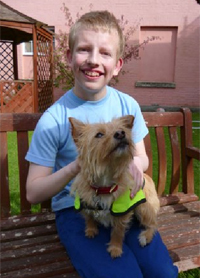 Pets As Therapy (P.A.T): Pets As Therapy is a national charity founded in 1983. It is unique in that it provides therapeutic visits to hospitals, hospices, nursing and care homes, special needs schools and a variety of other venues by volunteers with their own friendly, temperament tested and vaccinated dogs and cats. To arrange for Manuka to visit your organisation, please contact the surgery. Our National Helpline is open everyday throughout the year. Our Goal is to provide clear information on Great Danes. Our Dedication is to ensure the best welfare for Great Danes. 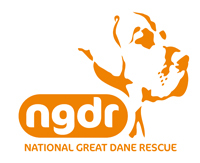 Our Role is to help you find or look after a Great Dane.